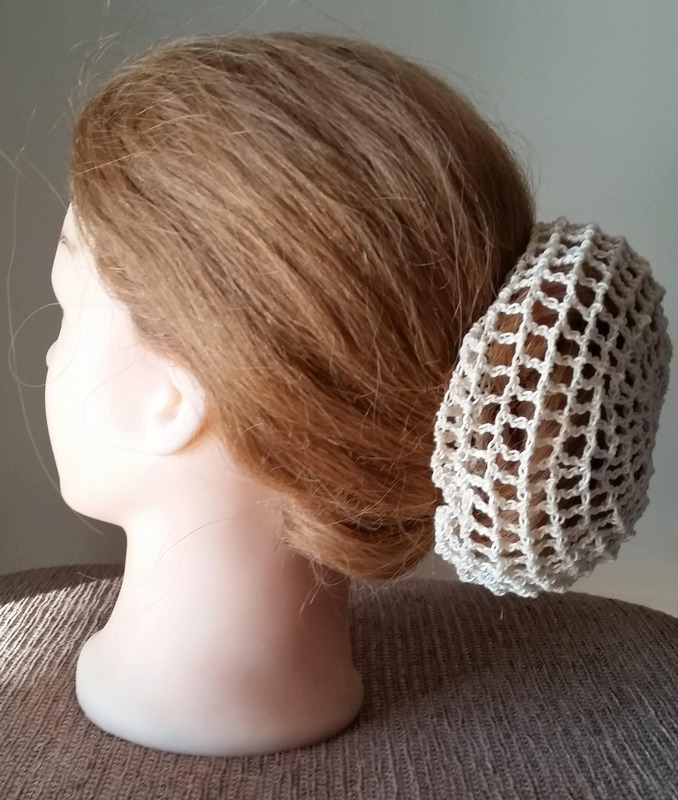 These hand crocheted hair bun covers in my standard pattern are great for containing your bun and keeping the "fly aways" under control. This version is a larger size for those ladies with longer and thicker hair that make a bigger hair bun. 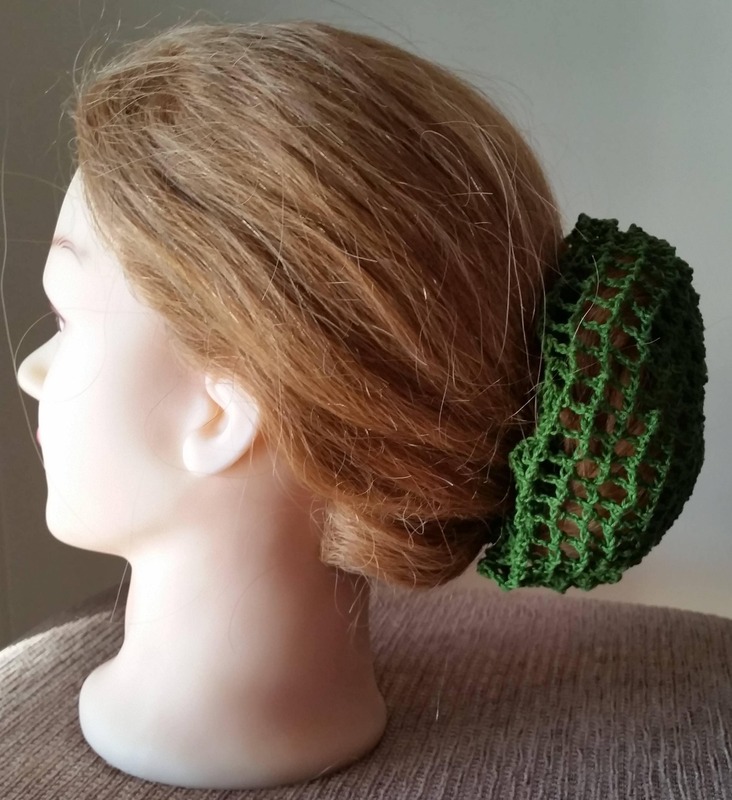 They make a nice hair accessory by themselves for something pretty to do with your hair or you can pair it with a hair stick. 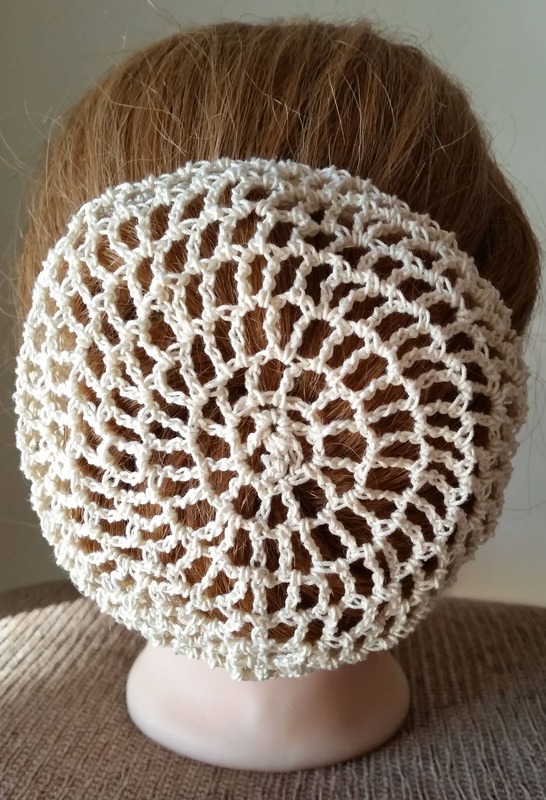 I've sold a lot of these to Ballet and other dancers since they work well to contain a hair bun. The colors pictured in order from left to right are Dark Olive Green, Cream, Orange and White. More pictures to follow. 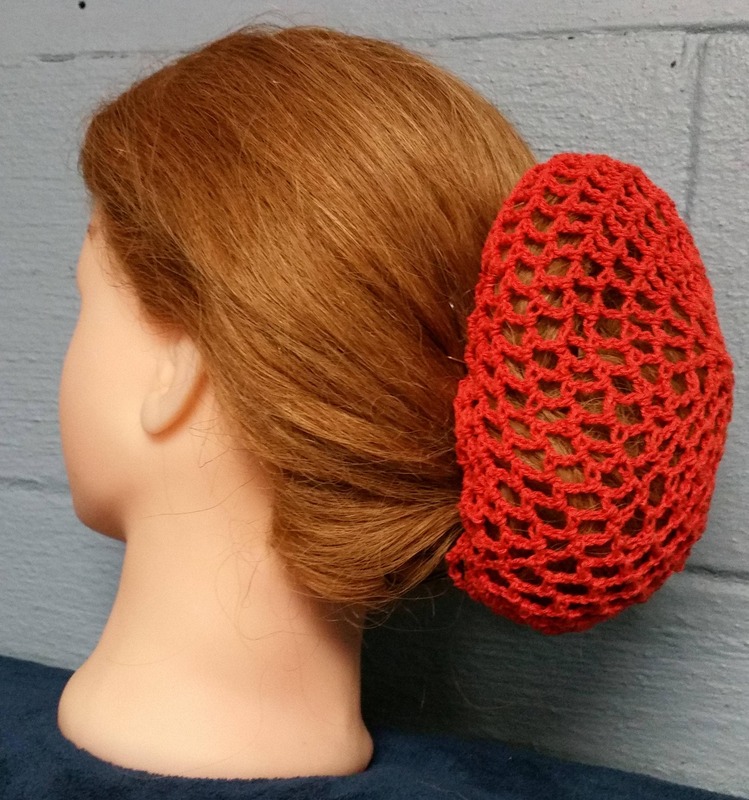 The large bun covers are sized to fit more like a grapefruit and measure about 6 inches across but can be tightened to fit smaller if you are in between the regular and large bun. The covers come with elastic cord in the last row which makes it easy to put on and adjustable to fit your bun. 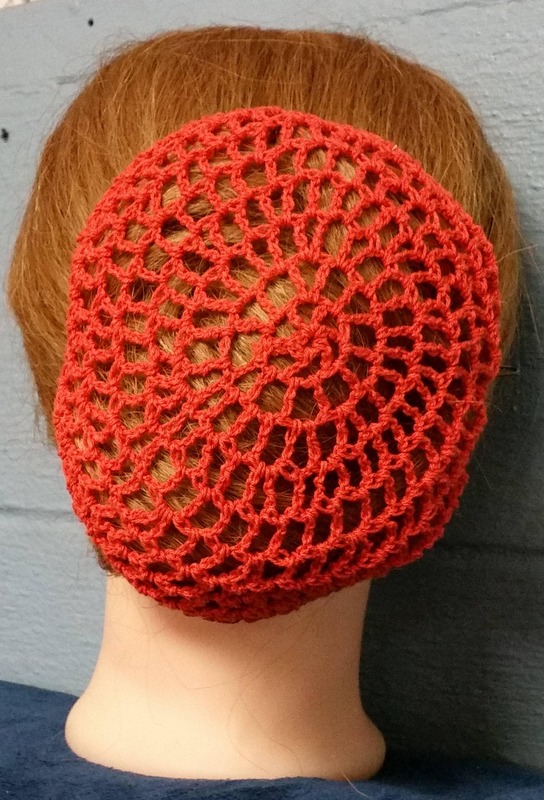 Some can wear it without the need for hair pins. 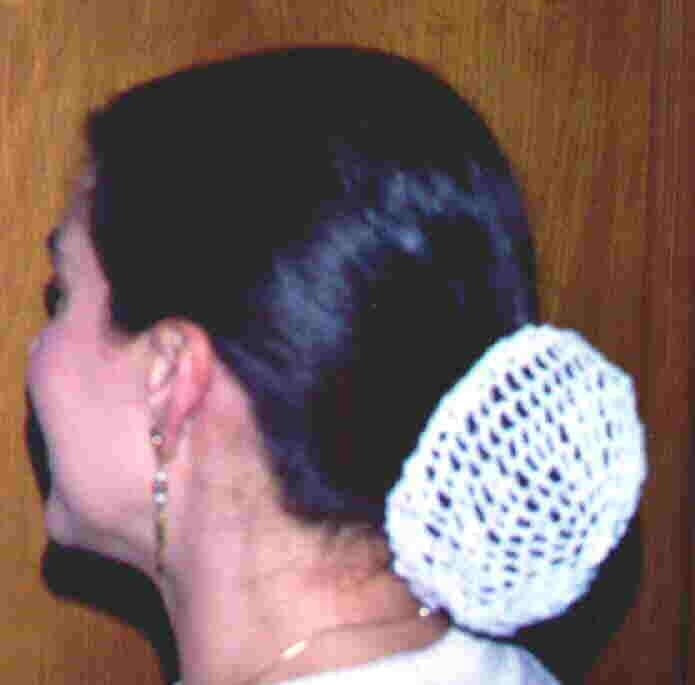 I always add a couple of pins or a hair stick when wearing the bun cover by itself. 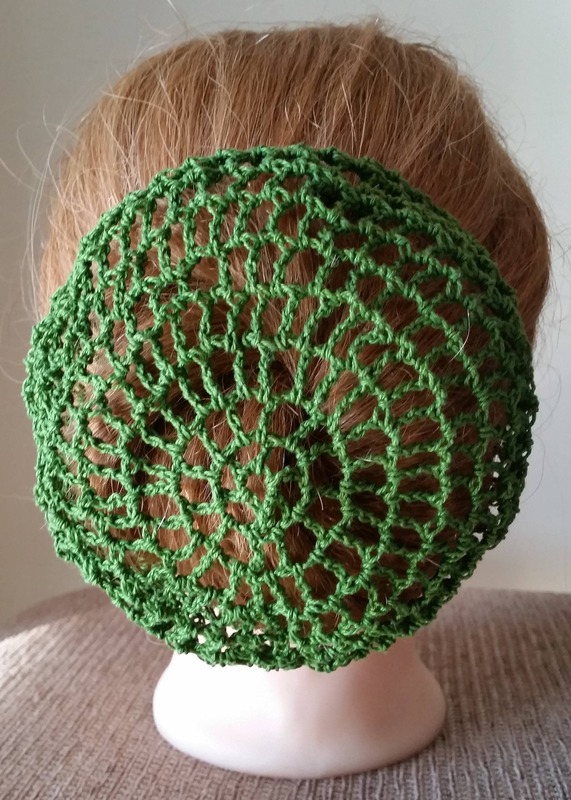 See my Etsy shop for more hair snood styles available. I will be adding more bun covers soon as well.